31 May 2017 by . Father Tomislav: Dearest brothers and sisters. “The Queen of the universe speaks to us” is the title of our reflection. You all know that in the beginning of the celebrations in honour of the centenary of the apparitions of Our Lady in Fatima Pope Francis answered the questions of the journalists about the apparitions of Our Lady in Medjugorje in a certain way to which plenty of comments followed. The believers and the non-believers were confused, but in that very moment the Queen of the universe raised Her voice. We have sent you the message and we have left you alone with it to think about it, pray and decide. Today we would like to look at the message in relation to the events in the universe and on the Earth, which is the right thing to do. First we want to look at it in relation to the apparitions of Our Lady, Queen of Peace in Medjugorje. You remember that on 13 May, 1981, Pope John Paul II was injured. Lucifer wanted his death; however, despite his physical weakness, he proved tenacious and very determined, and this provoked Lucifer and caused his anger. 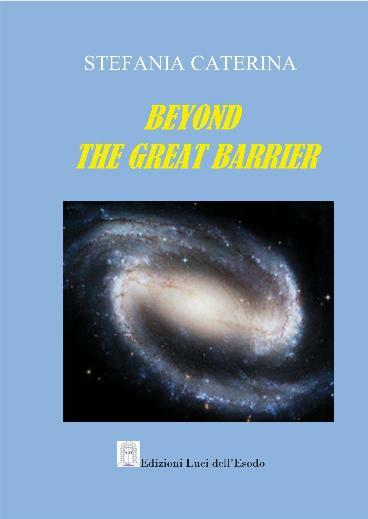 Let us listen to some passages of the book that we have published “The Universe and Its Inhabitants”. “Under Lucifer’s pressure the Illuminati decided to speed up their programmes and to unleash the third world war as soon as possible before Russia was consecrated and the presence of life in the universe revealed. God had other plans, though: plans of peace. “Finally, the apparitions of Medjugorje are doubly linked to those of Fatima being their natural continuation and completion. After the attack on John Paul II, which was a challenge to God by hell of unheard gravity, God sped up His plans by sending Our Lady foreseeing that the Church and humanity were in danger. The pontificate of John Paul II was linked in a particular way to the apparitions of Medjugorje which began only a few years after his election to Pope. He believed from the beginning in the truth of Medjugorje and understood its importance for this time. He did not lack the light of the Holy Spirit, because when God involves several subjects in a mission, He acts on all subjects in a harmonious way. 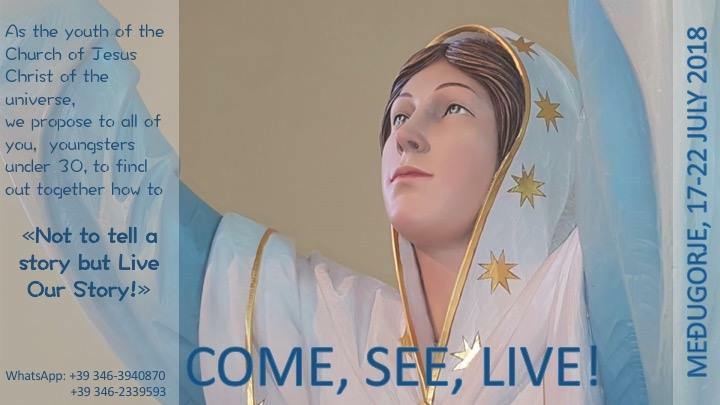 In this case, not only the visionaries and the parishioners of Medjugorje were called to understand this great supernatural event, but also the Pope who had the responsibility to lead the whole Church to align on the positions indicated by Our Lady. The moment the apparitions began, everything was ready according to the plans of God. Medjugorje represented the peak of all interventions of God and Our Lady in favour of the Church and the humanity of the Earth. In the meantime it meant the last call of Our Lady for Her people of the Earth. Father Tomislav: From these words you understand that the apparitions of Fatima and the ones of Medjugorje belong to a cosmic plan. We have told you that this year, which is the centenary of the apparitions of Our Lady, Lucifer has chosen the Antichrist who is hidden, yet, he acting powerfully and with him the False Prophet is also at work. The other event is that the evangelisation of the low universe is going ahead and will not last long. The last point of the universe is the Earth which will have to decide either for Jesus Christ or for Lucifer. And the people of the Earth will not be given much time because two millennia have passed since Jesus Christ came to Earth, founded His Church and entrusted the Church to direct humanity towards the One and Triune God. I would like to ask Stefania a question: why does Our Lady speak to her presenting Herself as Mother of humanity? Stefania Caterina: First of all, quite some time ago Our Lady already asked me if I was ready and, if I was ready, to get prepared for Her work, without specifying what the work would be; but She asked me several times if I was ready to accept until, at the beginning of this year, She told me openly that She would start to give me messages on the 13th of every month for the least of Her children. She said exactly this: to help the least of Her children who are confused and lost in this time. And She asked me one more time to do this for Her in order to call the children of God and also to instruct them. Our Lady said: “I must lift up the least; I must teach them the basic things that people often do not know, even within the Church”. They are very fundamental teachings about who God is, about the life with God, to get step by step to further deeper issues; thus the messages of the 13th of every month began. Father Tomislav: Our Lady presented Herself in the message of 13 May, 2017, as the Queen of the universe. What we have read in the message seems a prelude to the triumph of the Immaculate Heart of Mary. What do you think about it? Stefania Caterina: I would say yes for different reasons: first of all, I should say that this very strong message has come just after all those comments, those words that followed the interview with the Pope and the words he had said. And Our Lady presented Herself precisely as the Queen of the universe; She did it with a power I have rarely witnessed when She spoke to me, truly the power of a Queen, affirming that She had the right to speak to Her children because no-one could silence Her when she wanted to speak to the little ones, especially to the little ones who are crushed by the powerful of this world and also of the Church. Our Lady said, ”I have the power, I have received the power to crush the head of the Evil and I will do it; I will do it for My children to prevent them from being crushed. I want to be the voice of the least, the ones no-one seems to defend from the arrogant.” Thus She has called us; first She has called me as She turned directly to me, but also all of us, to join Her work and that of the recapitulation of all things in Her Son, for this is the work of God in this time: to recapitulate all things in Jesus Christ. And, naturally, Our Lady is the first to care about the recapitulation of Her children in Christ. There is another very important point. Our Lady said that through the messages She will give on the 13th and in other not specified ways She will say all that She has not been able to say at Fatima and Medjugorje because of the ever hesitating Church and the often passive people; and Our Lady said, ”The time has come to say these things.” Thus, these revelations, which inevitably imply the revelation of life in the universe, lead to the triumph of Her Heart, for Mary’s Heart triumphs in the triumph of Her Son: in the triumph of the Truth. Father Tomislav: In addition I have to say that Our Lady turned to us asking: “Are you ready to go all the way to the end?” We turn to you listeners: are you ready to go all the way? Our Lady asks us to listen to Her voice, and She asks also the new people to raise their voice now so that their voice may guide those who are confused. How do you understand what Our Lady has asked from us? I would also like to point out one thing you have noticed when you read the message, which is that the words I AM THE ONE WHO LIVES IN THE MOST HOLY TRINITY are capitalised; just before dictating me these words Our Lady stopped to ask me: “Are you ready to go all the way to the end?” And I answered Yes also in your name and in the name of the people who want to go ahead, and thus She said: “Then write this: I AM THE ONE WHO LIVES IN THE MOST HOLY TRINITY.” That makes me understand that this is something really great that we perhaps are taking for granted, yet we should not. Father Tomislav: We are in the time of the novena to the Holy Spirit. Are you aware that the gift of the Holy Spirit to humanity is the Immaculate Mother, the Queen of the universe? Perhaps you are asking for help in your daily issues or you would like to receive some charismas. I would like us to turn to the Most Holy Trinity to let us welcome the gift of the Immaculate Mother, the Queen of the universe, now operating with Trinitarian power in the whole universe. Without Her we will not reach Jesus Christ. After Jesus Christ ascended She remained with us through many, many apparitions despite the resistance of also many Christians. Let us ask for this gift and let us get ready to be Her voice so that She may speak to us; but we must not hesitate and make interpretations of Her words according to our interest. As we have heard, She asks us to entrust our life to Her, for She prepares our souls to receive the gift of the Holy Spirit and to be the people, the Church, of the whole universe that becomes united in the Holy Spirit through Jesus Christ to enter into a relationship with God the Father who is the source of life. And with Mary Most Holy, St. Joseph, Her most chaste spouse, and the whole Mystical Body of Christ I bless you; may you too feel the powerful vibration of Her Heart and Her voice; may you be transformed into the powerful voice of the Holy Spirit to work in favour of all the disorientated, the little, the confused and the lost people in this situation where there is no clear guidance towards God; in the name of the Father, the Son and Holy Spirit.